We are offering top-of-the-line Aluminum Wire Scraps for buyers in Thailand and other parts of the world. 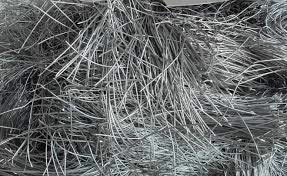 Our Aluminum Wire Scrap consists of old, unalloyed aluminium wire and cable containing not over 1% free oxide or dirt. They are free from hair wire, wire screen, iron, insulation and other non-metallic items. As a reliable Exporter and Supplier form Thailand, we can deliver desired quantities of Aluminum Wire Scraps at highly affordable prices.